A herb is a plant that may be used for medicinal therapies. Herbs have been around for thousands of years and there are various herbs that have been suggested to treat headaches and migraines. You may find that herbal remedies can even replace prescription medications although for the majority it is likely that herbal remedies will ultimately be a complement to the primary headache management plan. Ginkgo biloba is one of the more popular and studied herbs, with a proven affect on circulation. By encouraging oxygen delivery, it is thought that ginkgo biloba helps to reduce head pain from various headache forms including migraines. Ginkgo biloba has also been shown to help with inflammation and may block the generation of platelet-activating factor, which has been indicated in migraines. Feverfew is thought to both prevent and treat headaches and migraines. When taken at the first sign of a headache it can reduce the intensity and duration of the head pain. It inhibits inflammation and the constriction of blood vessels. It also influences serotonin, a brain substance that is believed to play a role in headache pain. The active ingredient, parthenolide, may help prevent migraines when ingested on a regular basis, although it can take several weeks before you notice a significant change in your headaches. You may be familiar with cayenne as a spicy ingredient used in cooking but it actually has some wonderful medicinal qualities that can be of aid in headache treatment. Cayenne is quite stimulating and it is thought that this property somehow affects blood flow and helps to ease headaches and migraines. Valerian, skullcap and lemon balm are all herbs that tend to have anti-spasm effects in addition to sedating and relaxing properties. They can thus help head pain and promote a sense of tranquility at the same time. 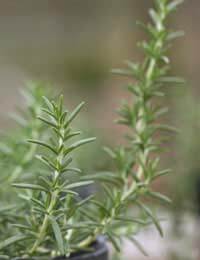 Their use aids in loosening up muscles around the back, neck and face and it is thought that these herbs influence arterial flow, helping reduce headache pain. Using these herbs at the initial signs of a headache can keep your headache from painfully progressing. These herbs can be helpful for easing headaches as well as associated symptoms such as insomnia, anxiety and stress. They tend to have a very calming effect and chamomile in particular is widely available in herbal tea formulations. It's convenient and helpful to enjoy a cup of herbal tea if a headache hits while you're at work and you require immediate relief. There are many ways to utilize herbal remedies for your headaches or migraines. Herbal teas are a dilute and mild way to take herbal remedies and also good for combating dehydration if this has triggered a headache. Tablets, capsules, tinctures and ointments are other ways of ingesting herbs. Ointments in particular may be helpful for headaches when rubbed on the temples and forehead. Some herbal remedies can even be taken as an aromatherapy treatment; try adding herbs such as chamomile to bathwater to help ease stress and head pain. You can find more information by looking for books in your local library or visiting a naturopathic doctor or herbalist. Your main medical practitioner will likely still be familiar with some of the more common herbs suggested for headache treatment and he or she may be able to provide additional information on their use. Do be cautious, however, as herbs are not regulated in the same way that prescription and over-the-counter drugs are, so purity and side effects may be less predictable. Under your doctor's supervision, experiment a bit with different herbs and see which ones are helpful for managing your headache pain. If you have had an MRI (CTS?) scan and nothing unusual has been found then the following may be helpful.Try an Indian Head massage to increase blood circulation to the left hand side of your head. Also you can massage the scalp and whole head with oils that are warming such as rosemary, ginger, and cinnamon, and alternate this with cool packs containing ice wrapped in tea towels. This is also aimed at gently increasing your circulation to that area which allows the body to focus healing on that area. Another thing that can help is hijama or cupping which many people find helpful in getting rid of stagnated areas of blood which may be causing a toxic build up in those tissues.May God (Allah) heal you speedily and completely. Trust in God and 'tie your camel' (ie do your best). Thanks for your advice - a head massage is certainly a good way of trying to relieve symptoms. If you have had an MRI (CTS?) scan and nothing unusual has been found then the following may be helpful. Try an Indian Head massage to increase blood circulation to the left hand side of your head. Also you can massage the scalp and whole head with oils that are warming such as rosemary, ginger, and cinnamon, and alternate this with cool packs containing ice wrapped in tea towels. This is also aimed at gently increasing your circulation to that area which allows the body to focus healing on that area. Another thing that can help is hijama or cupping which many people find helpful in getting rid of stagnated areas of blood which may be causing a toxic build up in those tissues. May God (Allah) heal you speedily and completely. Trust in God and 'tie your camel' (ie do your best). I need help!!!!!!!!!!!!!!!!!!! !I have been having head ache for the past 7months non stop. have been to several hospitals yet the head ache is still there , have equally don a CTS which came out normal. I wonder what could stop this head ache that most times affects my left ear, eye and neck.please I need advice. I am sorry to hear you are in pain. However, unfortunately we cannot help, especially if professionals have been involved. Your only option is to keep making sure you are seen by professional doctors and consultants. Hopefully at some point soon they will discover the root cause. I need help!!!!!!!!!!!!!!!!!!!! I have been having head ache for the past 7months non stop. have been to several hospitals yet the head ache is still there , have equally don a CTS which came out normal. I wonder what could stop this head ache that most times affects my left ear, eye and neck .please I need advice.